Small business owners in Baltimore turn to Verizon. The speed and dependability of Verizon help small businesses in Baltimore. One of the best things about Baltimore is that it’s constantly changing. The well-sheltered Chesapeake Bay attracted colonists before Baltimore was even built, offering a safe port for incoming ships. After the city was founded in 1729, it grew into one of the nation’s largest hubs for immigrants and successful industrial factories and is the twenty-sixth most populated city in the United States, with over 150 distinct neighborhoods. Today, Baltimore is not the same industrial town it once was. Professionalism thrives, technology booms, and scientific discoveries abound in this diverse and exciting city. Small businesses like yours add depth and variety to Baltimore’s economy, and Verizon knows you need good technology and quality customer care to keep you going. In fact, JD Power found that Verizon ranks highest in small business customer satisfaction, so you can rely on us to be there when you need us most. 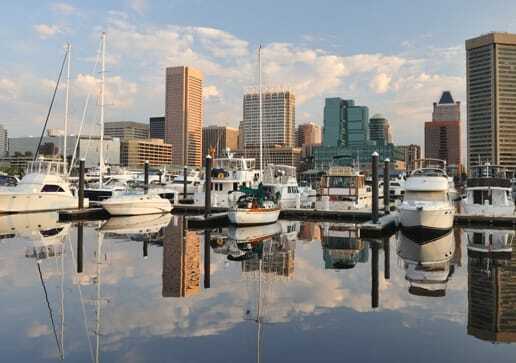 It's faster, smoother sailing with Fios internet, Baltimore. Upgrade to Fios and get $30 off. How the cloud can make your phone system smarter with Business Digital Voice. Verizon was a small business once. We know how important it is to have reliable technology in your office because the rest of your business depends on it. Verizon wants to fit your Baltimore business for Voice over Internet Protocol (VoIP) systems to help you achieve that goal. 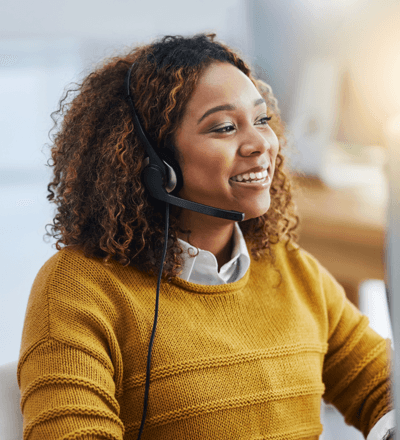 This service uses a secure internet connection instead of traditional landlines, enabling your business to use a host of professional phone services that simply weren’t possible with analog service. Landline phones can get your voice from here to there, but that’s about it. With Business Digital Voice, your phones can do a whole lot more. Calling features include call forwarding, redial, call transfer, and simultaneous ring. Get a transcription of your phone messages with Visual Voicemail, and check your call history at any time. These VoIP phone features put you in control again, making sure your phone system works as hard as you do. Best of all? You get to decide which features you want and how many phone lines you need. We’ve got plans for any small business in Charm City, whether you’ve got one or twenty people on the phones. 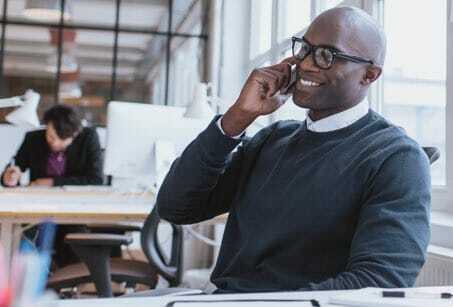 Fit Small Business recommends VoIP connections partly because they’re much cheaper than analog phone service. 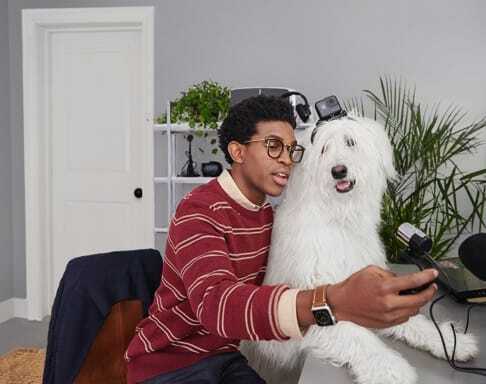 With Verizon Business Digital Voice, you’re not only getting smarter phones but also saving yourself a lot of money. Verizon Fios—the only business internet that keeps up with you. Baltimore is bursting with new technology. 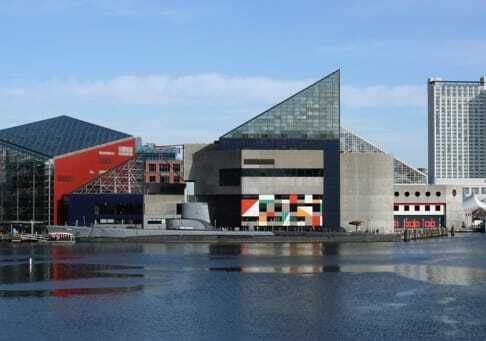 In fact, TIME recently named Baltimore as one of the top 20 cities for tech jobs. Your business might be creating some of those jobs, and Verizon wants to help you continue that trend. With fast and reliable internet on your side, your business can be ready for anything. Cable and DSL internet are becoming less and less competitive, which is why Verizon provides fiber-optic service (Fios) to ensure that your business is backed by the best technology. Instead of using copper wire, Fios sends pulses of light through strands of glass, giving you the fastest internet available. Every company is different, so we’ll make sure you find the right plan for your business. No matter which Verizon Fios Internet for Business. plan you choose, you can enjoy perks such as guest Wi-Fi, the Verizon Discount Program, and the Verizon Cloud. Let Verizon make things easier for you with Business Fios Internet. Visit local vendors at Lexington Market. You’re not the only one running a small business in Baltimore. Lexington Market is one of Baltimore’s culinary delights, hosting many local vendors and their delicious creations. Give your local chefs some love and stop by for lunch, dinner, or dessert. How Maryland is improving your broadband. Have you ever found yourself in a restaurant or doctor’s office feeling a little annoyed they didn’t offer Wi-Fi? It’s a convenience that many customers have come to expect, even in public venues. Such accessible internet hasn’t always been available in Maryland, but that changed in 2006, when local leaders expressed “concerns about the lack of internet services in their regions” and initiated the Maryland Broadband Cooperative (MDBC). The MDBC is a nonprofit organization that uses federal and state grants to build over a thousand miles of fiber-optic internet wiring, stretching across all of Maryland. Its goal? To connect key public institutions such as hospitals, state buildings, and schools, and it continues to build connectivity by inviting providers to join these efforts. 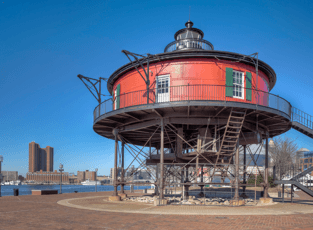 Thanks to the MDBC, Maryland is the fifteenth-most connected state in the nation. Even in the private sector, we’re concerned about improving your internet availability. Verizon is one of Maryland’s top internet providers because your internet’s speed and dependability matters to us. Maryland’s records of internet providers show that other competitors can only offer an average of 10–41.8 Mbps, while Verizon Fios provides an average of 63 Mbps. Sound like something that could help boost your business? We’re dedicated to improving Maryland’s connectivity, one customer at a time. We’ll send a trained professional to your business and take care of installing all the new Fios equipment, giving you the fastest technology available. Even after installation, if you have questions about your internet, phone system, or other Verizon products, you can call us at any time. Ups, downs, and exciting times ahead for Baltimore businesses. We know that running a small business isn’t easy. In fact, all of Baltimore struggled when the huge seaside factories ceased to be the city’s economic pillars. The shift from industrialism to professionalism caused a city-wide slump in population, but recent years have shown a reverse in that trend. Baltimore is back, thanks to a surge of new tech jobs and consistent educational and medical demands. Small businesses like yours are creating jobs, diversifying the economy, and adding depth to Baltimore’s business culture. One company and one startup at a time, Baltimore business is thriving. While you reach out to customers and meet your market’s needs, we can help meet the technological needs in your office. With a smarter phone system, fast and reliable Fios internet, and all-day Verizon customer support, there’s nothing you can’t accomplish. As you continue to shape your city’s future, Verizon can help to shape yours.